Sunday Update: Disney's Thor: The Dark World had a successful start this weekend with an estimated first place take of $86.11 million. 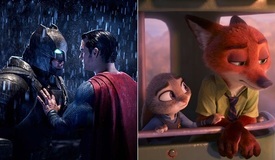 The Marvel superhero sequel starring Chris Hemsworth debuted in line with expectations, which ranged anywhere from $80 million to $100 million heading into the weekend. Thor: The Dark World opened 31 percent stronger than the $65.72 million start of 2011's Thor; an increase which was no doubt due in part to the ongoing goodwill from last year's Marvel's The Avengers. Thor: The Dark World debuted just below the $88.36 million start of Skyfall last November (which grossed $90.56 million when counting early Thursday shows). 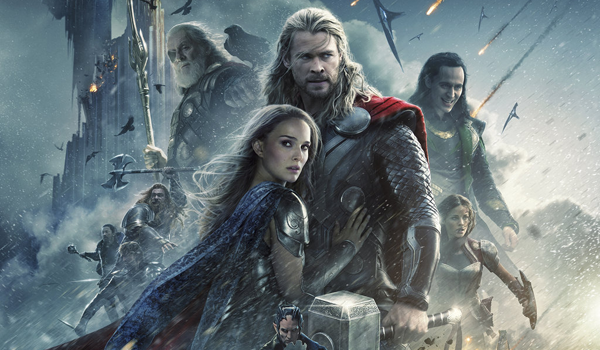 Without adjusting for ticket price inflation, Thor: The Dark World delivered the ninth largest opening weekend on record for the month of November. The film registered the fourth largest opening weekend of 2013 to date (behind only Iron Man 3, Man of Steel and Fast & Furious 6). Thor: The Dark World did experience a bit of a roller coaster ride throughout the weekend. 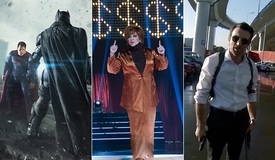 After a healthy $7.1 million late night Thursday start, the film didn't have the greatest expansion on Friday as it grossed $31.63 million as a whole on its opening day (including Thursday night grosses). 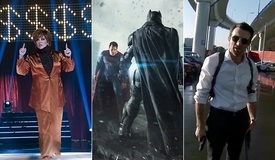 But the film then held up extremely well on Saturday to gross $31.66 million. Strong early word of mouth, appeal with family audiences and the Veterans Day holiday falling on Monday all contributed to the film's Saturday hold. Thor: The Dark World is estimated to fall 28 percent on Sunday to gross $22.82 million. The film generated an estimated opening weekend to Friday ratio of 2.72 to 1, which is very strong for a film with a sizable Thursday night start. With only one new wide release scheduled for next weekend (Universal's The Best Man Holiday), Thor: The Dark World could hold up relatively well next weekend. Though obviously, competition will become much fiercer the following weekend when Lionsgate's The Hunger Games: Catching Fire enters the marketplace. Thor: The Dark World received an A- rating on CinemaScore (which was slightly better than the B+ rating Thor received on CinemaScore). The audience breakdown for the film skewed heavily towards male moviegoers (62 percent) and moviegoers over 25 (61 percent). Couples accounted for 62 percent of the film's audience, while families made up 21 percent. Thor: The Dark World grossed $5.3 million from IMAX locations, which accounted for 6.2 percent of the film's overall gross this weekend. It was a very tight three-way race for second place this weekend between Paramount's Jackass Presents: Bad Grandpa, Relativity' s Free Birds and CBS Films' Last Vegas . Bad Grandpa currently has the edge for second place with an estimated $11.3 million, while Free Birds and Last Vegas followed closely behind with $11.18 million and $11.10 million respectively. It is close enough between the three films that the order could still change between now and tomorrow when actual grosses are released. All three films held up well this weekend, especially when factoring in the added presence of Thor: The Dark World in the marketplace. Bad Grandpa was down 44 percent, Free Birds fell just 29 percent and Last Vegas was down a healthy 32 percent. Respective total grosses stand at $78.75 million for Bad Grandpa in 17 days, at $33.53 million for Last Vegas in ten days and at $30.196 million for Free Birds in ten days. All three films will hope to continue to hold up well next weekend, especially with only one new wide release entering the marketplace. The news wasn't anywhere as good for Lionsgate's Ender's Game. 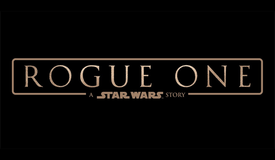 Last weekend's top film was down four spots and a sharp 62 percent to land in fifth with an estimated $10.25 million. Clearly, Ender's Game took a big hit from the arrival of Thor: The Dark World, which had been widely expected. Ender's Game has grossed $44.00 million in ten days, which places the film 5 percent behind the $46.10 million ten-day start of After Earth earlier this year. In its first weekend of wide release, Fox Searchlight's 12 Years a Slave grossed an estimated $6.6 million to place in seventh. After a very strong hold last weekend, the awards season hopeful increased a more modest 38 percent this weekend upon expanding into an additional 734 locations. 12 Years a Slave earned a per-location average of $5,769 from 1,144 locations for the frame. The 24-day start for 12 Years a Slave stands at a very solid $17.35 million. Meanwhile, Universal's About Time placed in ninth in its first weekend of wide release with an estimated $5.17 million. That represented a 381 percent increase over last weekend's limited start (when the film was playing in just 175 locations). For the frame, About Time earned a per-location average of $4,310 from 1,200 locations. About Time has grossed a so-so $6.69 million in its first ten days of release, but will hope to hold up well going forward. The audience breakdown for the film skewed heavily towards female moviegoers (71 percent) and towards moviegoers 40 and older (56 percent). Saturday Update: Disney reports that Thor: The Dark World earned $31.633 million on Friday, including Thursday night's $7.1 million haul. BoxOffice is projecting the Marvel sequel to land around $81 million for the weekend as Saturday business is sure to be strong for matinee-friendly family audiences. The Dark World's opening day marks a 24 percent improvement on Thor's $25.5 million back in 2011, also representing the same increase in the sequel's audience size due to current ticket prices being relatively the same as they were then. For comparison, Iron Man 3's first day was 54 percent higher than The Dark World, 34 percent over Iron Man 2's first day, and sold approximately 20 percent more tickets than Iron Man 2. Online activity across Twitter, Flixster, and Facebook had consistently been pointing to a larger bow for the Asgardian flick, although Disney itself noted on Wednesday that they were expecting a debut weekend in the $80 million range. Word of mouth appears healthy thus far with 86 percent of Flixster users having enjoyed or still anticipating seeing the movie. Reception will be key for the film's chances at hitting $200 million domestically as The Hunger Games: Catching Fire prepares for what is expected to be a big run starting on November 22. Friday Update #2: Thor: The Dark World looks to be on pace for $88 million based on early Friday grosses. A surge this evening is likely, and the sequel could end up with more than $90 million if everything goes well. Thor: The Dark World is the latest effort to benefit from the success of The Avengers. An opening of $88 million would represent a 34% increase over the $65.7 million debut of 2011's Thor. The first two weekends of release are crucial for The Dark World because the release of The Hunger Games: Catching Fire on November 22 will definitely hinder it. Check back tomorrow morning for official studio estimates and updated projections. Friday Update: Disney reports that Thor: The Dark World took in $7.1 million from Thursday evening shows. That's a very healthy start for the sequel. To put it into perspective, Iron Man 3 made $15.6 million from Thursday shows on its way to a $174 million debut frame this past May. It's clear that Thor: The Dark World will end up shattering expectations this weekend on its way to improving upon the $65.7 million debut of 2011's Thor. Word of mouth is healthy at this early stage. Nearly 140,000 Flixster users have combined to give the sequel an impressive 86% approval rating. Thursday Update: Fandango reports that Thor: The Dark World accounts for a staggering 85% of Fandango's weekend advance ticket sales. 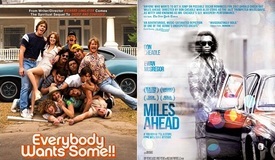 The sequel's sales are on par with Fast & Furious 6 at the same point in the release cycle. - 81% identify themselves as "Chris Hemsworth fans"
BoxOffice.com currently forecasts a $97 million debut for Thor: The Dark World.